Travelling or visiting new, unfamiliar places can be quite a challenge for people who suffer from gluten intolerance or, worse still, a coeliac condition – as I myself am all too aware. So I’ve put together a collection of my favourite gluten-free eateries in Cologne, with something for every pocket and time of day. 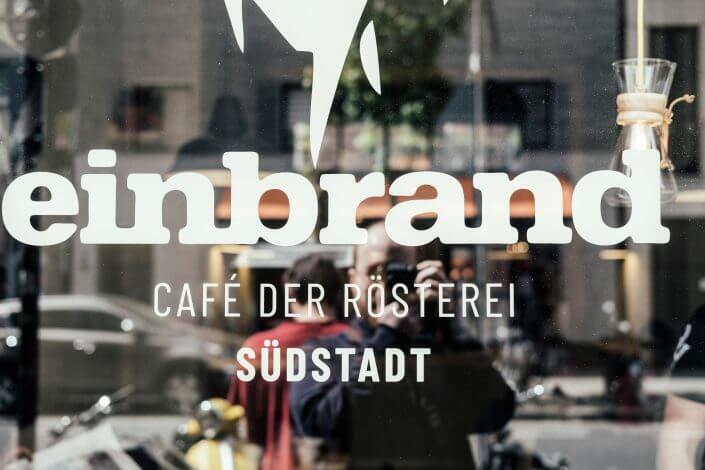 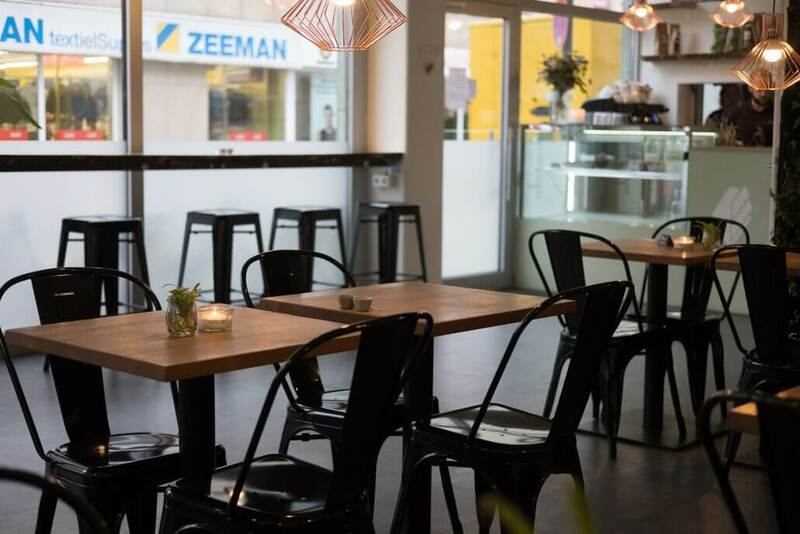 Located in the heart of the Ehrenfeld district, Edelgrün has a large selection of gluten-free products. 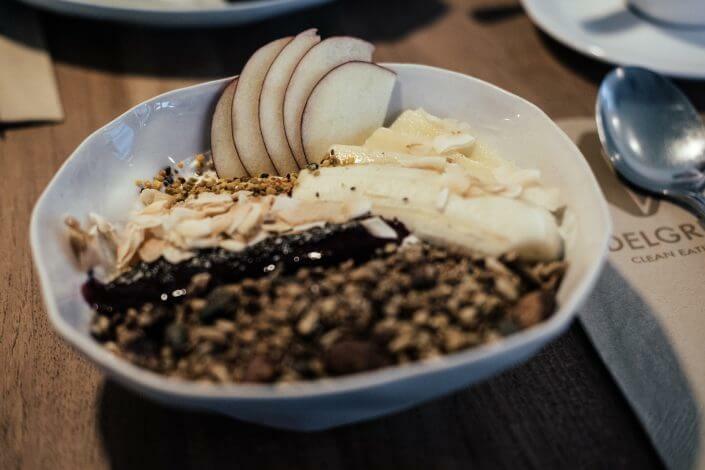 From smoothie bowls to porridge to coconut yoghurt with gluten-free granola, there’s something for everyone. 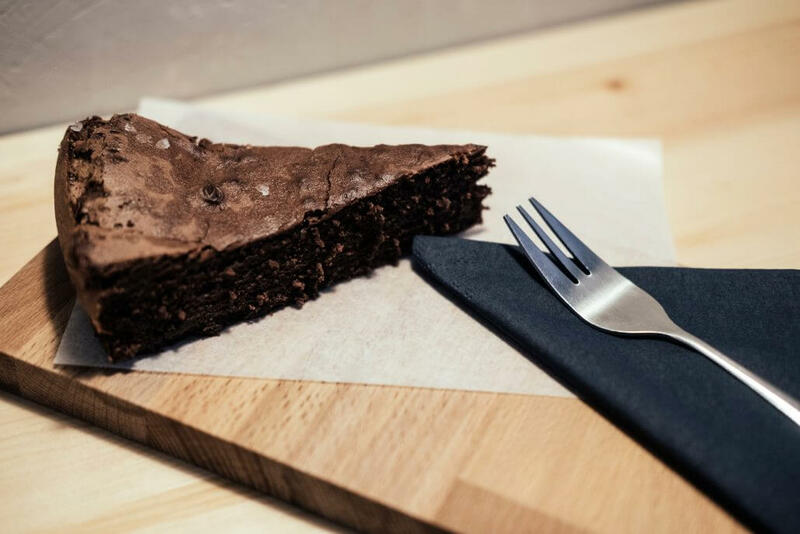 All the dishes are based on the “clean eating” concept, which means they don’t contain refined sugar. In addition to breakfast, Edelgrün also has a range of gluten-free meals at lunchtime and in the evening. 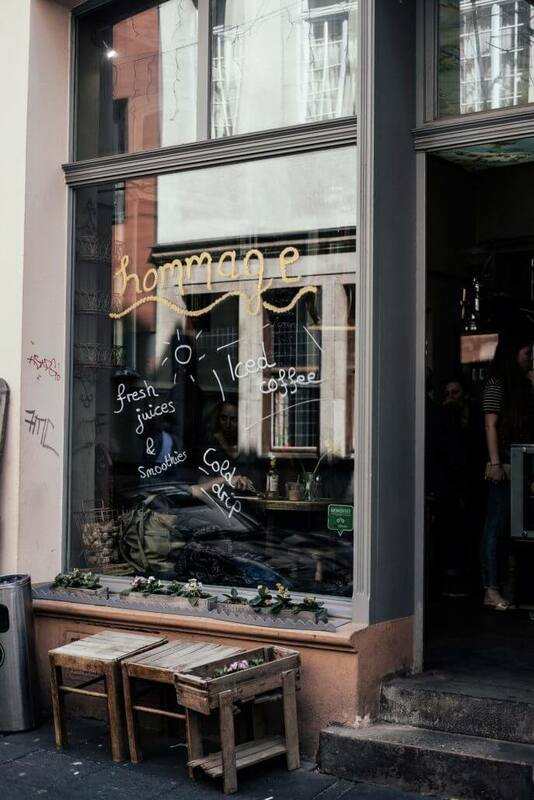 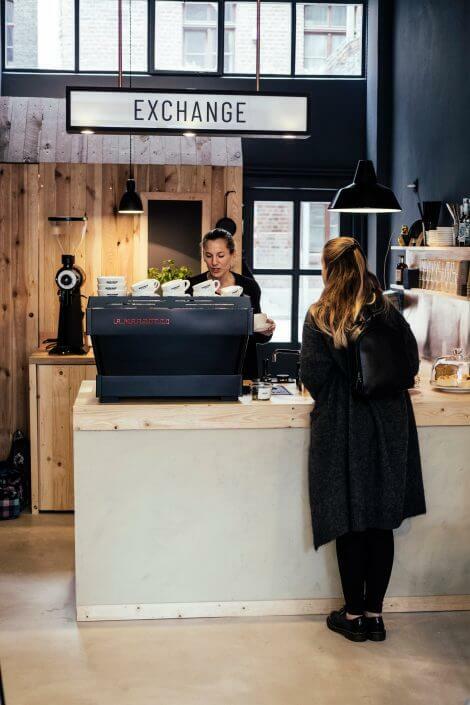 It may be small but it’s certainly big on taste – Café Hommage teams up delicious coffee with buckwheat crêpes of the sweet variety or savoury with goat’s cheese, walnuts and honey. 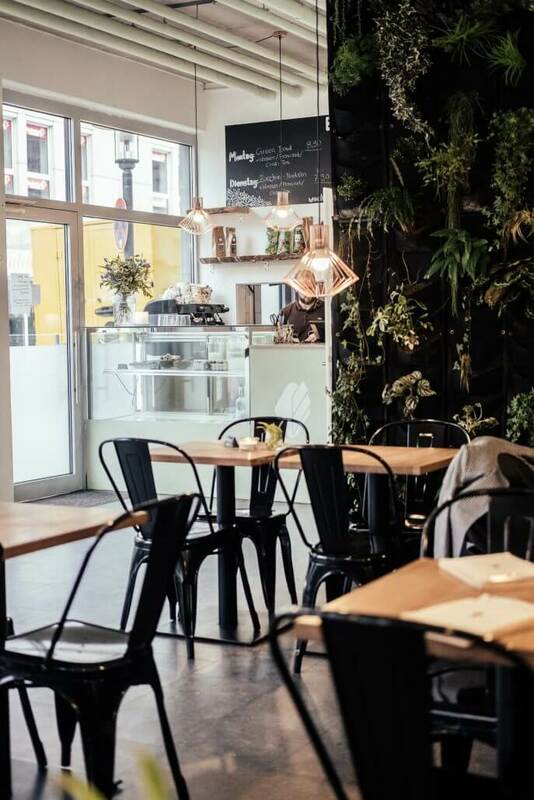 Shabby chic and back-to-nature furnishings complete the feel-good atmosphere of this place, located near Friesenplatz in the centre of town. 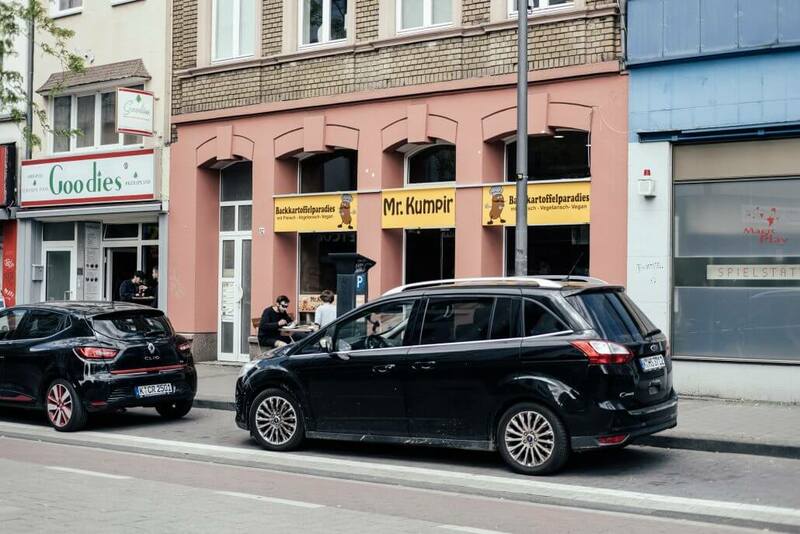 Mr. Kumpir, right in the middle of the Ehrenfeld district, dishes up amazing baked potatoes with a range of different fillings. 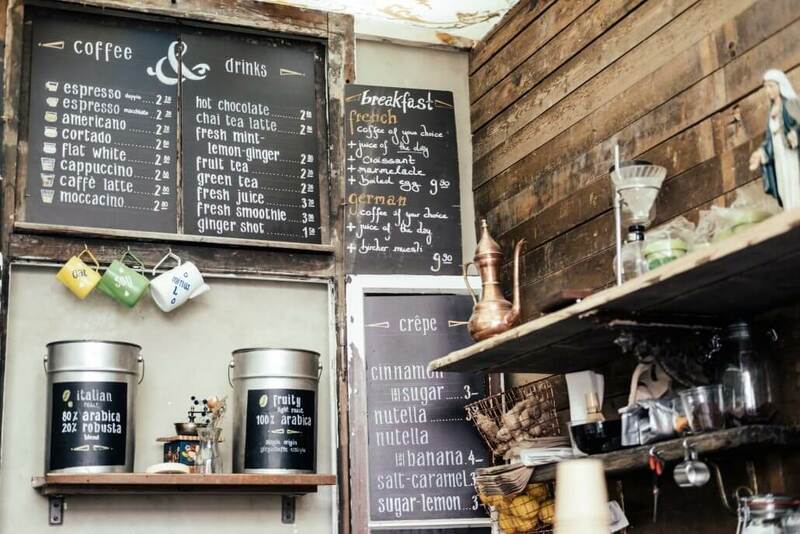 You can choose from the ideas on the menu or make your own creation. 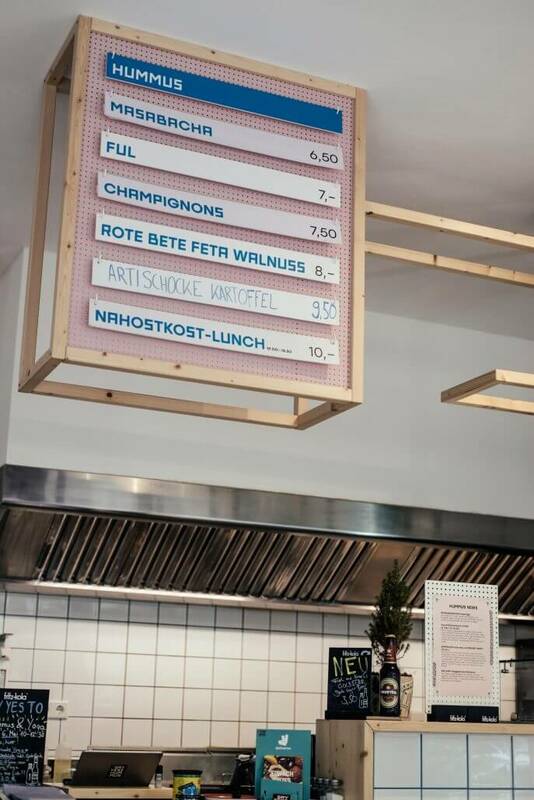 In the non-vegan option, they take the potato flesh out, mix it with butter and cheese to make a sort of mash and put it back in again before adding the topping. 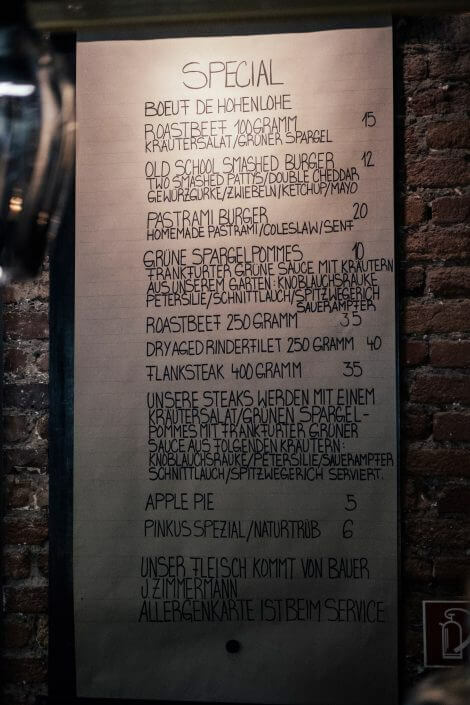 But vegan options are also available. 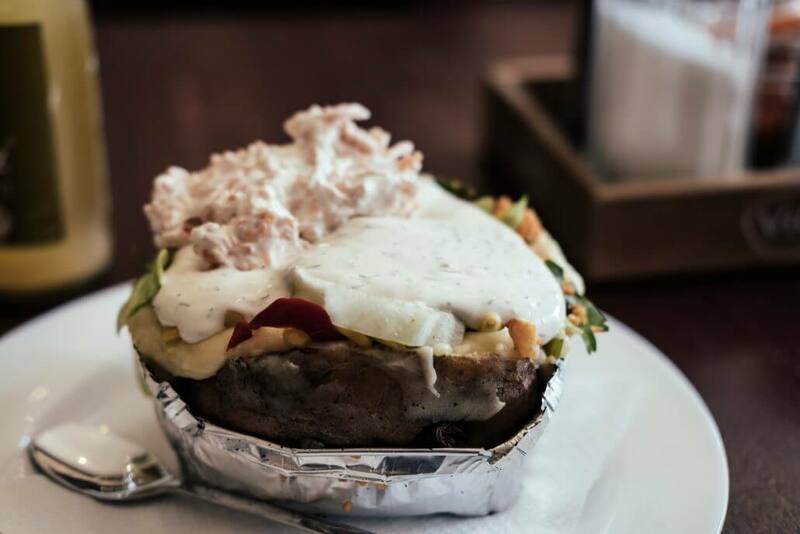 There’s a choice of different vegetables, fish, meats and sauces for the topping. Prices start at 4.90 euros. 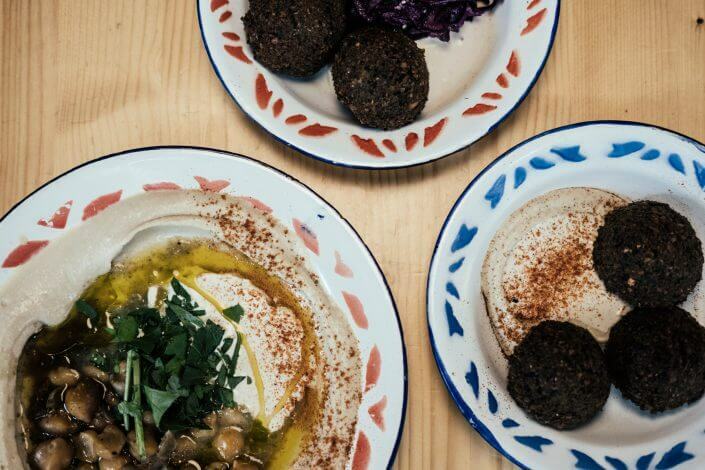 If you’ve been yearning for a weekly dose of hummus, yearn no more. Mashery has a whole range of ingenious hummus combinations to enjoy with the staple pita or with green falafels, salad and haloumi cheese. 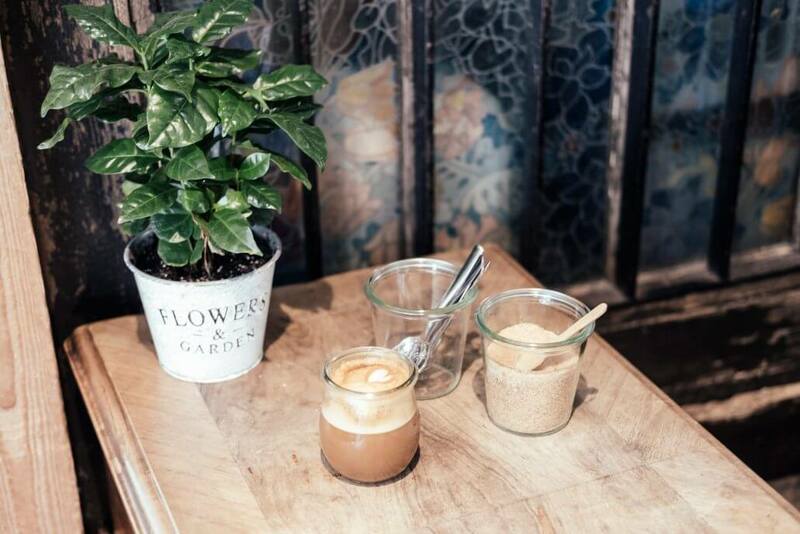 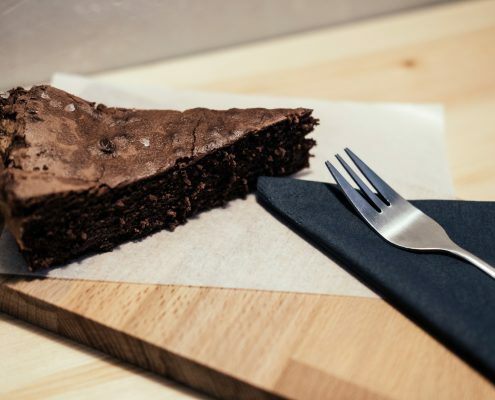 This café, near Chlodwigplatz in the southern part of the city, has it all: a great interior, good, house-roast coffee plus a gluten-free chocolate and salted caramel cake to die for. 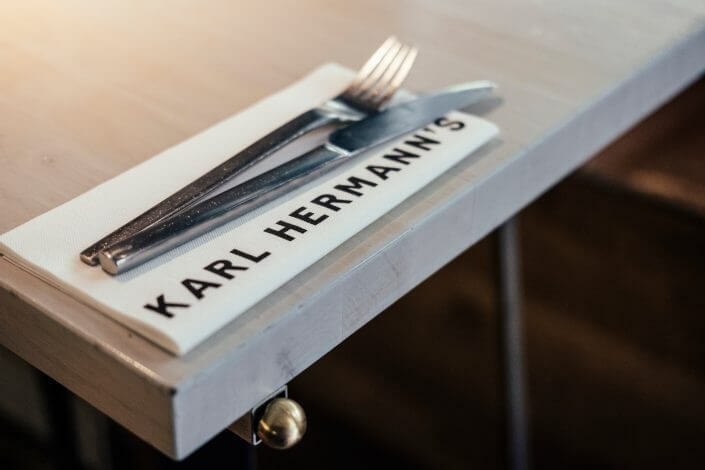 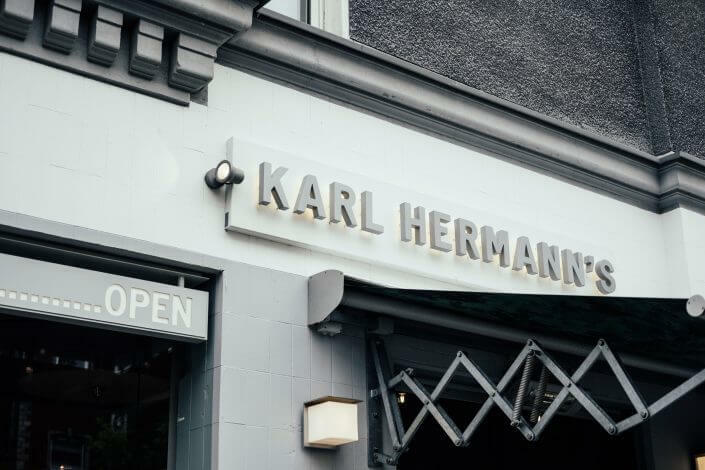 Be it burgers, steaks, salads, home-made lemonade or long drinks, Karl Hermann’s only serves the best and is a must for any burger fan. Awarded organic certification in May, you’ll find no antibiotics or other additives here. Gluten-free rolls come as standard and the staff can tell you anything you want to know about the products and any allergens in them. 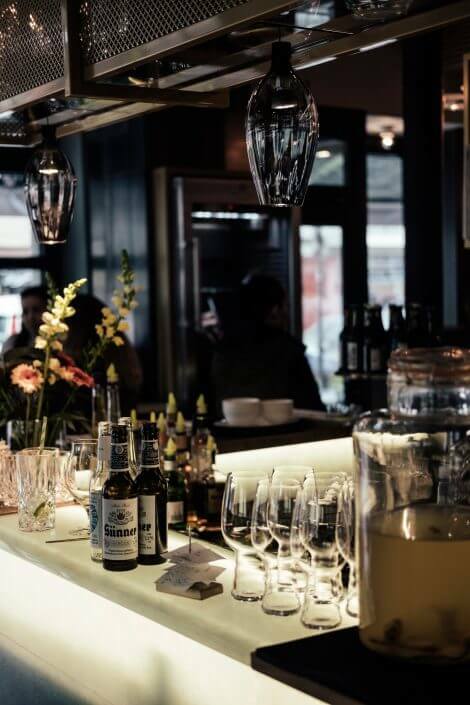 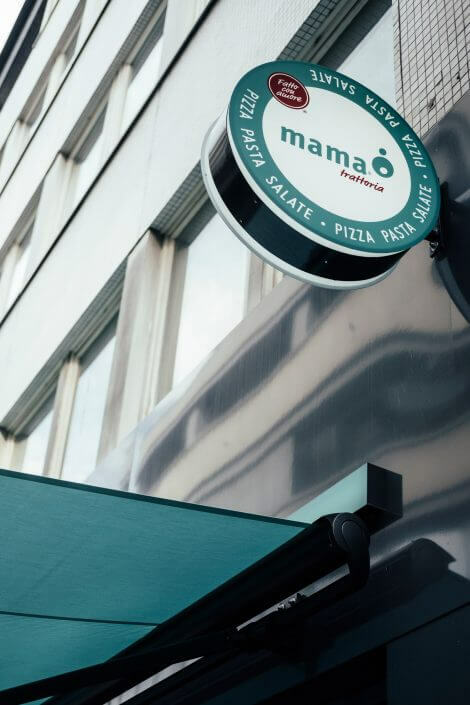 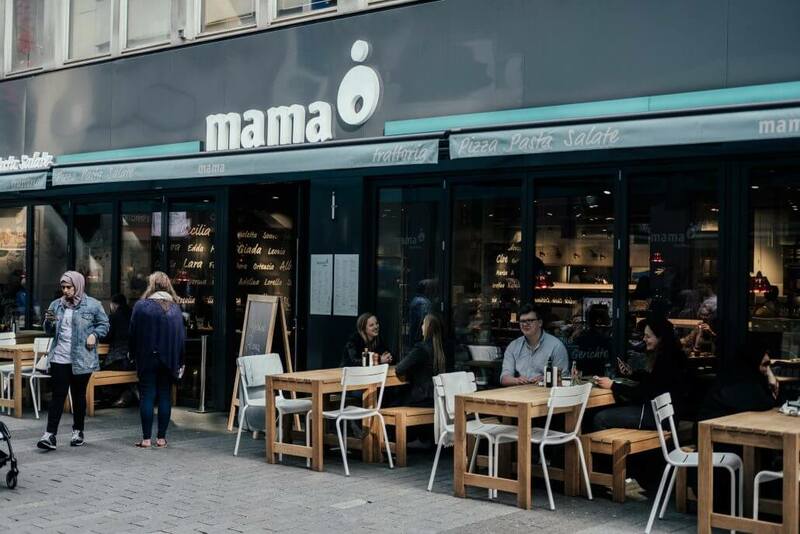 Mama trattoria is a modern take on the trattoria, serving traditional Italian dishes such as pizza and pasta, including gluten-free versions. 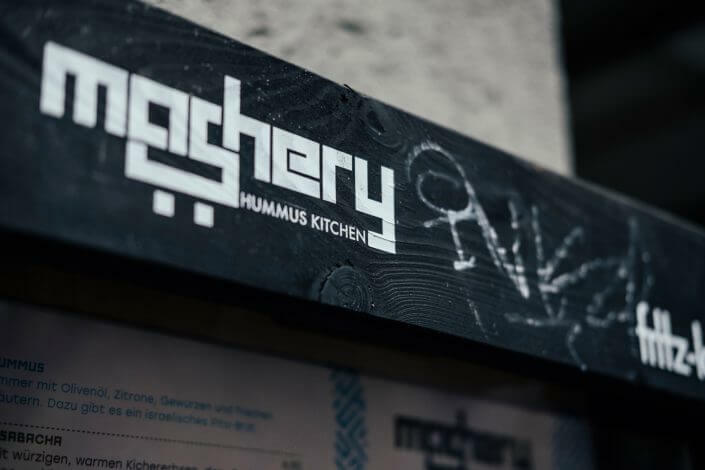 The food is always fresh, the quality good and the prices moderate.